I love hosting Game Day parties for my family and friends. A house full of people I love, kids running wild, big screen TV’s, the best commercials of the year, endless amounts of food and oh yeah – a football game! What better way to spend a Sunday? I try to serve a variety of food for people to nibble on throughout the day. There are the must-haves like nachos, chicken wings and pizza but I also like to offer a few healthier options, too. 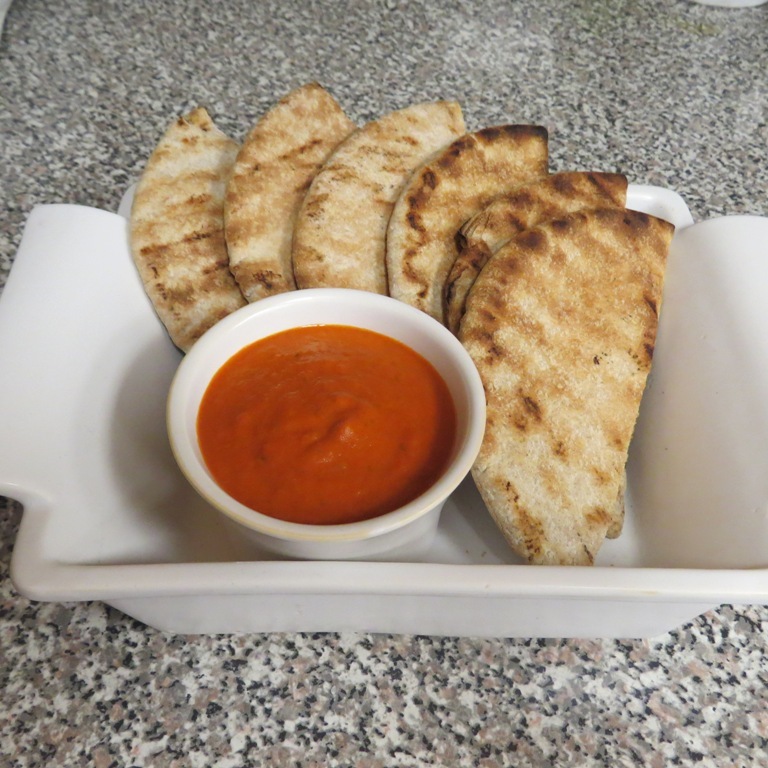 One of my favorites is Creamy Red Pepper Dip with Grilled Pita Wedges. 1. Grill the bell peppers over Direct Medium heat until the skin is blackened and blistered all over, 12 to 15 minutes, turning occasionally. 2. Place the pepper in a small bowl and cover with plastic wrap to trap the steam. Set aside for at least 10 minutes, then remove the pepper from the bowl and peel away the charred skin. Cut off the top, remove the seeds, and roughly chop the pepper. 3. Place the chopped pepper in a food processor along with the rest of the ingredients. Process until smooth. Cover with plastic wrap and refrigerate until about 20 minutes before you are ready to serve. 4. Brush both sides of the pita bread with olive oil. Grill the pita bread over Direct Medium heat for about 2 minutes on each side or until lightly marked. 5. Sprinkle with salt, to taste, and serve with red pepper dip.